Also, you got me into this, so you better stick around!! i guess i don’t get it. what’s the joke everyone thinks is funny?????? @ jana The symbol used on the gratutity line is the 16th letter of the Greek alphabet; Pi. 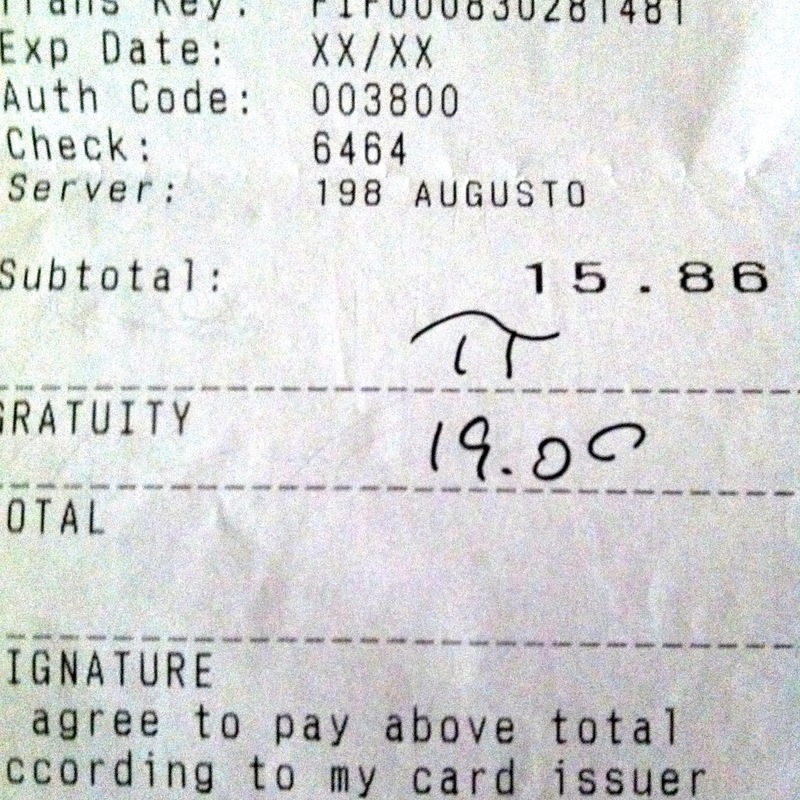 Pi= 3.14 and is the approximate ratio of the circumference and diameter of a circle The subtotal ( $ 15.86) plus the $3.14 tip equals $19.00 I hope that wasn’t too confusing.